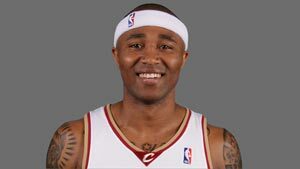 Mo Williams will be reunited with the Utah Jazz as part of a four-team deal that will send Lamar Odom back to Los Angeles for a second chance with the Clippers. The deal initially was believed to involve only three teams, but a fourth, the Houston Rockets, got involved after Thursday's draft. The Rockets received the rights to the Clippers' 53rd overall pick, Furkan Aldemir, and the Jazz sent the team's trade exception to Dallas. The Mavs also received cash considerations from Houston. Williams must pass a physical but is expected to hold a news conference in Salt Lake City on Monday or Tuesday. The Jazz drafted Williams in 2003 but allowed him to leave after one season, a decision that general manager Kevin O'Connor said was the worst he ever made. Dallas faced a Friday deadline on a $2.4 million buyout of Odom's $8.2 million option for next season. Williams' decision to exercise his $8.5 million player option cleared the way for the deal. "He's really excited," Bartelstein said. "This is where his career started. They've got a terrific young team. He thinks he can come in and bring real leadership. He's excited about that. They made it clear how much they wanted him. They did a good job of recruiting him." Williams played in 57 games as a rookie before going to Milwaukee. He eventually became a starter and was an All-Star as recently as 2009. Asked to recall the amount he let Williams leave Utah for, O'Connor on Thursday shook his head and said, "It wasn't that much." Bartelstein, who has several other players on the team, found it hard to fault the Jazz. "Mo was a really young player at that time," he said. "Kevin has wanted him back for a long time. Now, he's got him back. I think it's a great fit." Jazz coach Tyrone Corbin has made no effort to hide how much he likes Williams, calling him a great player Thursday. Bartelstein said reports that Williams was blocking the trade were untrue. He said they simply needed to do their "due diligence" and make sure it was the best decision. Williams, 29, is in the final year of a contract that will pay him $8.5 million. While Williams put up solid numbers in Los Angeles under difficult circumstances, Odom - drafted fourth overall by the Clippers in 1999 - is coming off an underwhelming 50-game stint with Dallas that didn't even take him through the entire season. He was the NBA's Sixth Man of the Year for the Lakers for the 2010-11 season. The Mavericks on April 9 said Odom would be inactive for the rest of the season, when the then-defending NBA champions still had nine regular season games left and were making their push toward the playoffs. That move came two days after a heated halftime exchange between Odom and Dallas owner Mark Cuban, who questioned the player's commitment to the team. Odom's averages of 6.6 points, 4.2 rebounds and 20.5 minutes in Dallas were career lows. The 32-year-old Odom has averaged 14.2 points and 8.6 rebounds in 879 career games. The four-team deal provides the Mavericks with an $8.2 million trade exception, similar to what they used to acquire Odom from the Los Angeles Lakers last December. The Jazz, meanwhile, get another veteran guard. Utah already has Devin Harris at point guard. But team officials have said they could make it work with both Harris and Williams. Bartelstein confirmed Harris was not part of the trade. Williams averaged 13.2 points and 3.1 assists in 52 games last season for the Clippers, who acquired him in a trade from Cleveland in February 2011. In 589 career games, he has averaged 13.8 points and 4.9 assists. He played out of position much of last season after the blockbuster deal that brought Chris Paul to the Clippers and the team then acquired Chauncey Billups. The Jazz took Williams 47th overall in 2003. Also on Friday, the Jazz exercised their option on guard Jamaal Tinsley for the 2012-13 season, and tendered a qualifying offer to forward Jeremy Evans.